Most c-level executives would never consider doing the company's taxes on the back of a napkin or using spreadsheets in place of a CRM, so why would they want to try to manage their most vital duty in email and Word documents? If something is important, it is worth the investment to make it successful and nothing is more important than deploying and executing the organization’s strategy. International business expert and speaker, Jeroen De Flander once said, “Most of us know the marketing concept of good communication. To make a message stick in the head of a future consumer, you need to deliver the message seven times using seven different channels. Why do executives think that to make a strategy stick, a boring speech delivered once will be enough?” This is a great point. Too often, the ”strategy” exists in a document that gets trotted out once or twice a year. Strategy deployment software helps bring it to life and put it front and center for each employee, every day. Nothing is lost in translation or forgotten. Strategy deployment software helps ensure that each person in the organization understands the strategy and what they need to do to achieve it. Individual objectives can be easily aligned to the short and long-term goals, allowing people to make better decisions more quickly and to apply a sense of purpose to every task. Strategy deployment is about defining and achieving the types of breakthrough successes that will change the organization’s future over the next three to five years. Software designed to support strategy execution requires a certain type of discipline that helps pave the path to the organization’s next phase. Checking in on the progress toward strategic objectives annually, quarterly, or even monthly will not typically achieve the desired outcome. 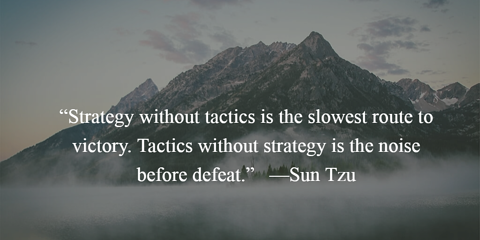 Strategy deployment software gives leaders a way to visually access results every day so that they can be proactive in responding to unfavorable conditions as soon as momentum stalls. It is easy for executives and front-line employees alike to get distracted by the day-to-day needs of the business and lose sight of the big picture. Strategy deployment and supporting methodologies like Hoshin Kanri are all about helping the organization walk and chew gum at the same time. By leveraging dashboards, reports, alerts and notifications, teams can ensure that daily management and work on long-term goals happen simultaneously. The best strategy in the world is only a dream until individual members of the team go out and make it happen. This requires employee engagement and the willingness to extend discretionary effort. Recognition and broadcasting success go a long way toward compelling people to do something extra. Employee reward and recognition programs are great, but sometimes all it takes is the acknowledgment and thanks of executive leadership. Strategy deployment software makes it easy to notice and share each important achievement.